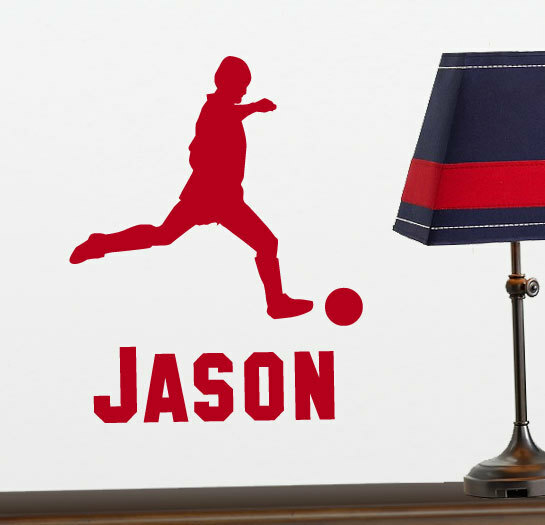 If you know someone special who likes soccer, consider getting one of these personalized soccer player vinyl wall decals to celebrate his love for the game. The decal has a soccer player silhouette in the motion of kicking a soccer ball. 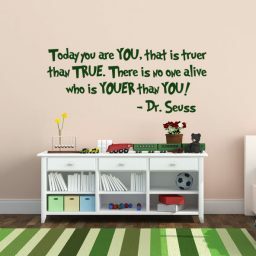 You also have the option to add a personalized name to the soccer-themed wall decor. 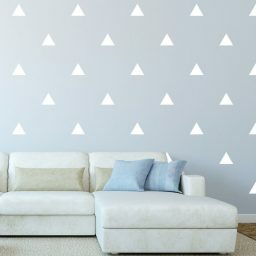 This wall decal comes in many different sizes and colors, so you can choose what best suits your needs. 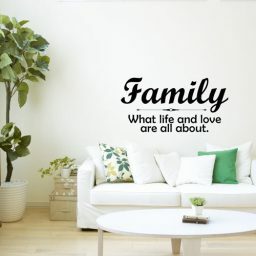 The vinyl stickersåÊwill vary in size depending on the length of the name; however approximate sizes are as follows: The soccer player is 13-in x 12-in, and the lettering is 3.75 inches tallåÊmaking the overall height of the design 16 1/2 inches. åÊLarger and smaller sizes are available upon request. Order your vinyl soccer player in your favorite team color today!